All the paper in every card is from the Basics Paper Pad. I love all the muted colors and patterns in this line. The sentiments are all stickers from the Sticker Pad. The chipboard button and banners are from 'Eighteen Buttons', and the enamel dots and twine are also from the same collection. 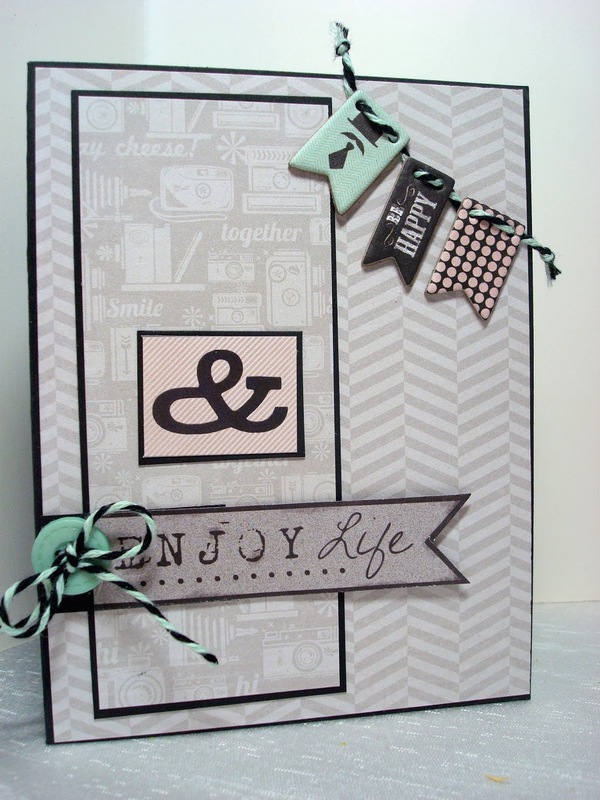 I used a MFT die to create the grey flag behind the sentiment. I scored it and folded it to get the look you see below. I put a paper doily from Wilton, behind the sentiment. My next card uses a sketch from MFT (MFTGUEST0712). Here's a close up of these fun embellishments. My third card uses a Deconstructed Sketch (112). And finally, another Deconstructed Sketch (94). 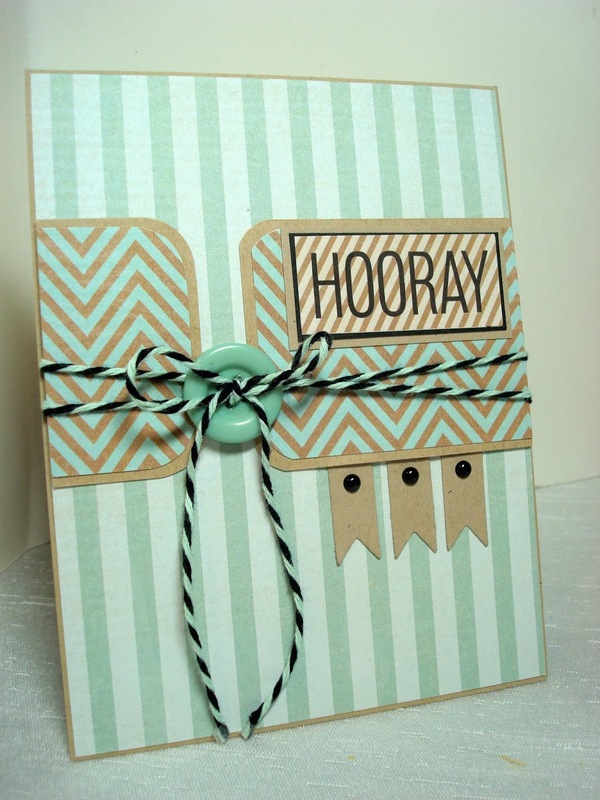 I never really created cards using papers and embellishments all from the same line. I don't know why, because it makes card making really easy when everything is perfectly coordinated for you. Oh so so lovely cards Amy ! Wonderful creations, love them all ! I do love the unity of the cards. They are so pretty and such a treat to receive. I'll bet you make your family and friends very happy! These are fabulous Amy, and how fun that they get displayed at the store you work at! What a great card, Amy! Your chalkboard is perfect. And girl, you have the best job ever! Hugs! Great work on all of the cards! What a fun job you have :-) I think the first one is my favorite. I love using matching supplies, makes crafting so much easier when I have limited time! Really liking those colours and each and every card you made is fabulous. You do have talent, they each have a such wonderful design.love them..